Fiji Airways has made a $20 million lump sum payment to the Fiji National Provident Fund today. It’s part of repayments for the $181 million loan taken out in 2013 to buy 3 new Airbus for the airline’s revamped fleet. 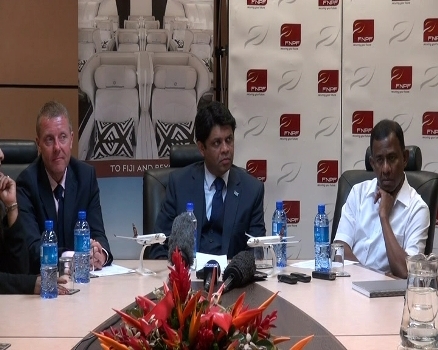 Fiji National Provident Fund Board Chair Ajith Kodagoda says the payment and timely installments by Fiji Airways has justified the decision taken by the Fund. Fiji Airways Acting Chief Executive David Bowden says by the end of the year, the loan remaining will be less than half the original amount. Aviation Minister Aiyaz Sayed-Khaiyum says the Fiji Airways/FNPF deal is an example of how the Superannuation Fund can benefit the economy.